Earn up to 3,498 Points. 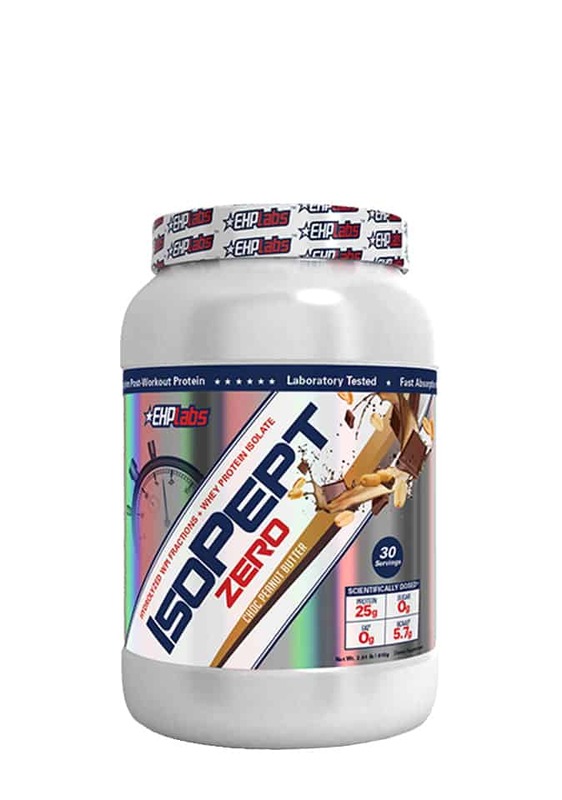 EHP Labs Iso Pept Zero is a high yielding whey protein supplement designed to provide efficient amino acid delivery, optimal protein absorption and no added fillers to inhibit the amino acid release into the system. If you suffer from gastric stress when consuming whey proteins, don’t want to feel full after your post workout shake or simply want a highly refined, optimally digested whey protein, Iso Pept is the product for you. 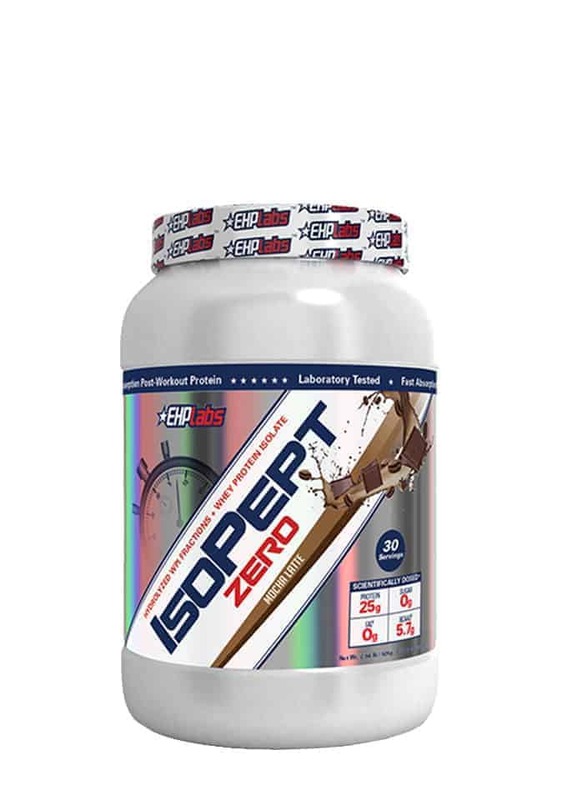 Iso Pept meets every piece of strict criteria that EHP Labs pride themselves on, with each scoop containing no less than 25g of high-quality protein. 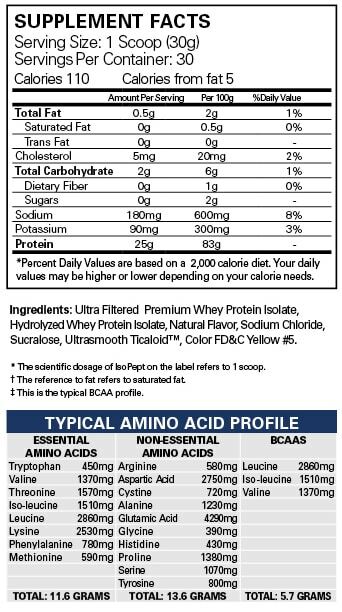 Combining Whey Protein Isolates with Whey Protein Hydrolysates ensures optimal protein absorption occurs and recovery is improved. Utilising an ultra-filtered WPI, EHP labs have removed all unnecessary allergens and undesirable components of whey, including lactose and animal fats. WPI’s are low stress when considering digestibility, contain a high level of naturally occurring Branched Chain Amino Acids and are promoted for their ability to enhance muscle growth, improve recovery speed and also for dietary means in those lacking protein in their food choices. HWPI is derived via the same manufacturing process as WPI, with an additional phase of hydrolysis occurring, which leaves the complete amino acid sequences into di and tri-peptides (2 and 3 amino acids). HWPI supports easier digestion due to the pre-digestibility of the amino acid sequences and is a great protein source for anyone trying to maximise amino acid uptake into the bloodstream as fast as possible. 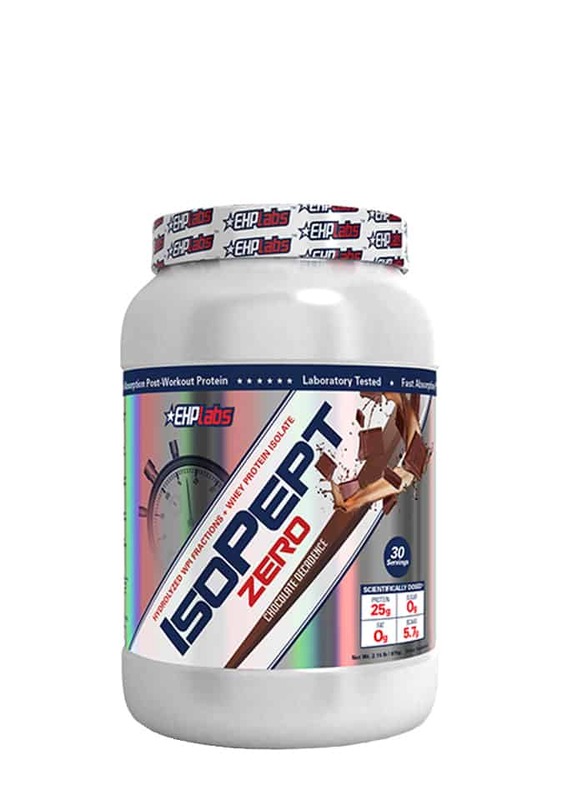 Iso Pept Zero is the perfect protein source for anyone suffering gastric stress post dairy or whey consumption and is the ideal post workout shake for maximum recovery.